In agile development circles self-organizing teams are all the rage nowadays. And I often hear people bemoaning the “evil managers”. And no doubt in many circumstances and organizations there is real work to do here and real dysfunction to resolve. But I’m less concerned with the analysis of what’s wrong and more concerned with what can we do differently and better. IE: How can we develop the skills necessary to practice effective self-organization. So what does it mean to be a participant in a “leaderful” group? our mental health practitioners and researchers are predisposed by interest, investment and training in seeing deviance, psychopathology and weakness wherever they look. This type of approach to work based on weakness and deficit can be found in most of our organizations. It seems to me that although Agile exposes inefficiencies and problems in organizations, it’s focus never-the-less is to build on strengths and assets. It is in this light that I have been thinking about Antonovsky’s work and what it can offer to Agile. Antonovsky came to this theory of salutogenisis when he carried out a study on Israeli women going through menopause. He found that there were a number of women who, according to all indications of the pathogenic model, should be suffering severe symptoms (because they faced severe stressors which cause illness). But they were not suffering at all. To his surprise he discovered that these women happened to be survivors of concentration camps. He found certain qualities in these women that resulted in what he called a higher â€œSense of Coherenceâ€ than the other women. Sense of Coherence is made up of three factors; comprehensibility, manageability, and meaningfulness. Antonovsky found meaningfulness to be the motivational factor of the three, although he also found that all three mutually reinforce one another. For example if one has a high sense of comprehensibility but is low on the other two, one ends up not having the motivation to find resources and soon after this causes comprehensibility to be lost. If one is high on meaning and missing the other two, Antonovsky explains that there is a good chance to find the other two. The theory of Salutogenisis may provide researched and proven reasons why Agile is so empowering for people. This research may also provide more insight into how to deepen Agile experiences to higher levels of empowerment. Agile methods help people to make sense of the market place by allowing for iterative delivery and adaptive planning, thus increasing their level of comprehensibility. Iterative delivery, adaptive planning and the concept of amplifying learning are all conducive to increased sense of manageability. Because people spend most of their time at work, it is quite important that they feel a sense of meaning in their work. The concept of empowering the team and the practice of self-organized teams and appropriate metrics can contribute to increased sense of meaning in one’s work. Antonovsky associated comprehensibility with consistency which he defined as “the extent to which oneâ€™s work situation allows and fosters the clarity of seeing the entire work picture and ones place in it, provides confidence in job security, and supports communicability and feedback in social relations at the workplace”. How can the concept of consistency be promoted in Agile projects? Manageability is related to under load/overload balance which is defined as “the availability of resources to the individual and to the collectivity within which there is interaction to get the job done well” and “…the extent to which the work situation has room for allowing potential to be utilized in substantively complex work.” The opposite of the former results in overload and the opposite of the latter is a situation of under load. 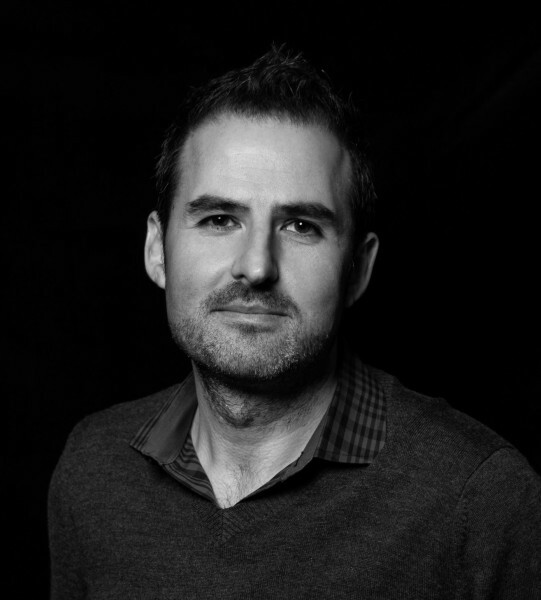 How can Agile projects guard against overload? 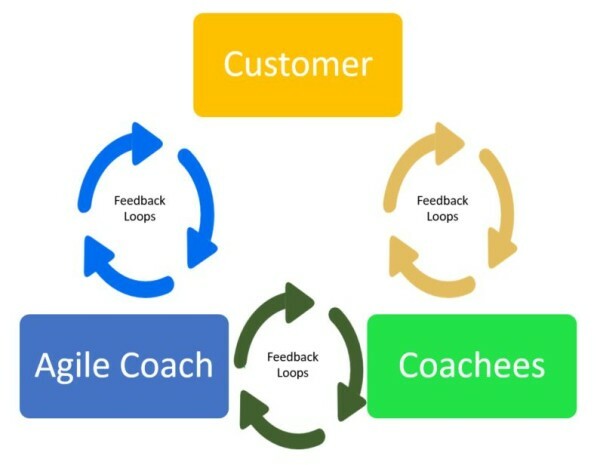 How can an Agile coach and Agile teams fully utilize the capacities of its members? When others decide everything for us-when they set the task, formulate the rules, and manage the outcome-and we have no say in the matter, we are reduced to objects. A world thus experienced as being indifferent to what we do comes to be seen as a world devoid of meaning. In light of the concept of meaningfulness how can the principle of self organized team and shared decision making be deepened in Agile work? 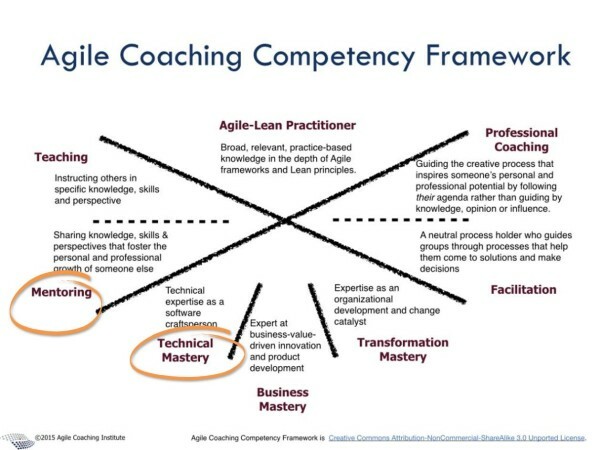 Given the Agile Axioms and Disciplines then an agile coach or mentor should have some really specific experience and capabilities. This list constitutes a first attempt at a job description. Which approach is most valuable in training that fosters collaborative work for the purpose of optimizing the performance of an organization: a tools / methodologies approach or an inner capabilities approach? The typical orientation that most organizations take is often external and rule-based. This consists of creating methodologies, rules, boundaries, systems and processes to enhance collaboration. These external approaches ultimately fail to have a lasting effect on people and the culture of the organization because they don’t address change at the level of habits of mind. People then work in the new structure with the same patterns of behaviour. Behind this kind of surface approach to change are assumptions about human nature. At worst this consists of a belief that people are base (greedy, selfish etc.) by nature. At best that people are fundamentally good but cannot improve except through external measures. It is true that we need external systems and structures to give expression to our inner capabilities, to test, foster and develop them in action. However all the investment that companies make in tools, systems, methodologies are obviously not enough. We need both external and internal approaches to training people in collaborative processes. Systems and tools provide only a framework that then need to be filled in with character. At the core of Agile there are disciplines (such as Empower the Team, Amplifly Learning) without which the methodologies would have no life. The practice of the disciplines fostered by the development of inner capabilities infuses life into the Agile methods and at the same time the methods act on and reinforce the inner practice of the disciplines. As Agile champions (coaches, facilitators, practitioners) we must invest energy on fostering -through modelling and coaching- the development of inner capabilities. 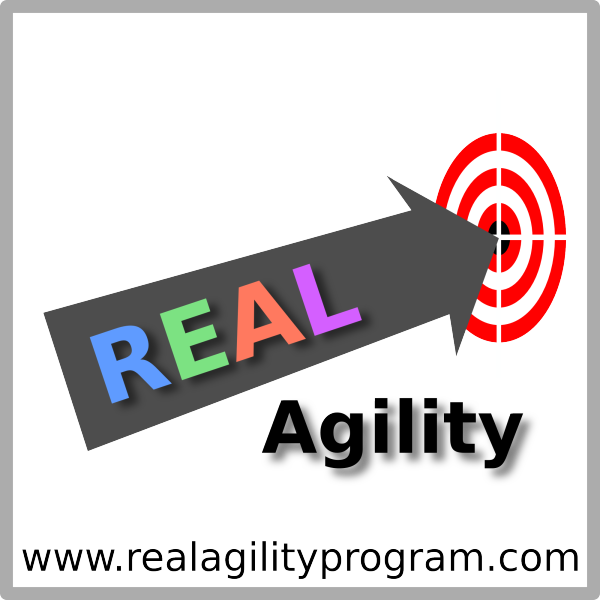 The Agile community will benefit from an identification of core capabilities required and a deep exploration of how to foster their development in individuals, teams and organizations. Although it is our nature to organize in groups and we may have much experience with collaboration, we nevertheless live in a culture of contest and individualism. Out of this culture comes a set of belief systems which are so deeply rooted in our lives that we are not fully conscious of them and their affect on us. These belief systems cannot change easily through the introduction of external structures alone. The following is my approach as an educator to my work in community and organizational development. I have come to this understanding mainly through experience, a great deal of mentoring and study. Please note that when I use the term â€œteacherâ€ in this document I also mean consultant, mentor, coach etc. 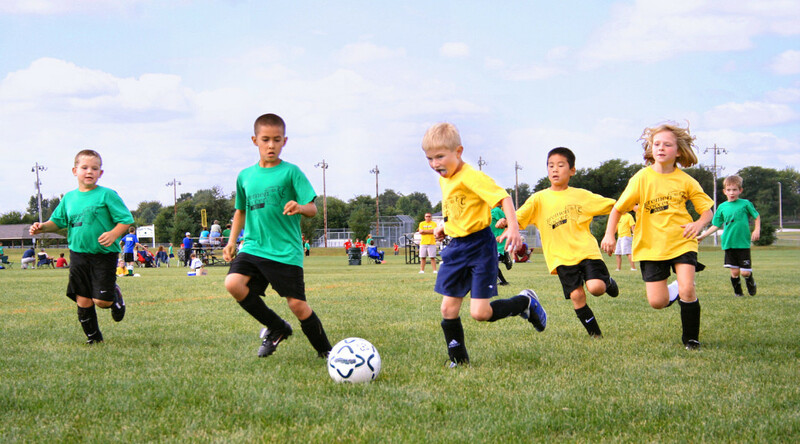 The term â€œstudentâ€ is also interchangeable with organization or community. The term education is interchangeable with organizational or community development consulting. Education should start from, affirm and validate the experience, insights and knowledge of the individual. This is a foundation for education that honours and respects the student. Recognizing the nobility of the student allows her an active role in her own learning. The role of the teacher is to facilitate learning by drawing on the experience of the student, to build on that experience through the acquisition of new insights, knowledge and skills. Learning must be self-directed. The teacher may have a number of wonderful things to teach, but if the student does not believe that they are relevant to her, she will not be engaged. This is especially true for teachers who are working in communities that they are not a part of. The teacher must engage in careful investigation in order to understand the situation of the student, which includes attentive listening, as well as a genuine interest in the needs of the student, before proceeding along any line of instruction. Taking her cue from the students, the teacher must work with the individual / group to create a learning environment in which everyone takes responsibility for their own learning. In this kind of environment the teacher is not an expert and does not do the studentsâ€™ learning for her. The teacher can use questions to assist the student to understand, instead of delivering answers. The teacher should also encourage an environment of learning that recognizes mistakes as part of the learning process. The learning environment should create in the student a hunger for the acquisition of knowledge, insights and skills beyond the direct experience with the teacher. Once the experience of the student has been validated and her needs established, education should be challenging but not obtrusive and challenges must be presented with respect and encouragement. Encouragement versus excessive criticism leads to individual initiative instead of paralysis. The natural result of an encouraging and challenging learning environment is self-discipline and self-correction instead of external discipline (control) and constant external correction. The learning environment should foster humility in both the student and teacher. Most contemporary approaches to education are materialistic; the student pays, studies, receives a degree, becomes an â€œexpertâ€, etc. The whole educational experience, from the teachers to administrators, cultivates in the student a sense of self is that is based solely on the expertise and knowledge gained. The â€œExpertâ€ attitude in the community development environment is often not useful because the work in the field is so complex. Many stakeholders have keys to the process, as a result, the â€œexpertâ€ attitude devalues the knowledge of others and tends to taint the path to solutions with conflict and ego. Another consequence of the expert mentality in the community is dependency; people are divorced from the solution to problems that they all contribute to and to which they all hold the keys. Instead of drawing on the knowledge of the stakeholders, the expert renders her own knowledge most valuable which in turn causes them to discard volition and succumb to a state of perpetual dependency on one expert after the other. Community members or institutions are robbed of the ability to play a central role in their own lives as a direct result of being robbed of opportunities to play central roles in the decision-making process of their community. With humility at the centre of all learning, the purpose of education becomes transformation. We learn so that we, our communities and our institutions can improve and change for the better. Also as learning is applied to community efforts, individual capacity unfolds and is developed. Learning for its own sake is valuable, but learning for positive social change, makes the acquisition of knowledge, skills and insights relevant and engaging in the face of community development challenges. Learning then becomes intimately connected with action and is corrected and refined through action. This infuses a powerful sense of purpose and meaning in the learning process, especially as successes are realized. Education should cultivate a sense of personal ownership in the learning process and community life. Fostering a sense of personal ownership comes with educating students to have a mature perspective about their own learning as well as the changes they desire to implement in the community. It involves helping students learn the capability of â€˜becomingâ€™ the change that they want to see, as well as finding positive starting points in desperate situations and building on them. A mature outlook demands that students have a principle-based approach to problem solving versus a rule-based approach. Education then becomes not only a process of acquiring knowledge but centred on capacity building for individuals, institutions and groups. Fostering the development of capacities needed to overcome obstacles also requires a principle-based approach, embodying principles such as perseverance, human rights and dignity, building unity in diversity etc. Education should be methodical and balanced. It should aim to acknowledge, validate and employ different learning paradigms: those of science, spirituality, culture and the arts. Systems of education that value science above the arts or spirituality are destructive to the individual and community as they create an imbalanced view of the world and rob people of a diversity of perspectives and tools that they need to face complex challenges. An educational program should strive to address the mental, emotional, spiritual and physical needs of students and not focus too much on merely one dimension of life. This is especially important in communities that have experienced extreme marginalization (colonization, oppression) where healing and wellness must play a significant role in the learning process. A key ingredient to success in transformational education is the example of the educator. As people, naturally we do what we know and what we have experienced. In order to change our patterns of behavior we need to begin having fundamentally different experiences than what we have known. The educator must be able to assist in the creation of such experiences. To do this she must be capable of modelling what is being taught and through constant critical self-reflection strive to exemplify in every action empowering ideals. Learning and education are indispensable to all community efforts for positive change. The job of an adult educator is to assist individuals, the community and its institutions to adopt a posture of learning. This begins with working with the experience of the student, fostering self-directed learning and follows as the teacher interacts with the student to challenge and assist her to new levels of learning. With humility at the centre of all learning efforts, dependency on â€œexpertsâ€ can be replaced with volition and independent decision-making. The potential of the individual further unfolds as she applies her learning to service to the community. Attention to capacity building and cultivating a sense of personal ownership -in the process of learning and community building- deepens the experience and truly engages the student in taking an active role in the development of her life. Utilizing all systems of learning in the education process ensures balance of methods and helps cultivate the infinite and diverse capabilities of human potential. Ultimately the success of an educator rests on the degree to which she is able to model the change she is fostering. A while ago I posted the story of a student film project using agile practices to create a documentary. One interesting observation made by the instructor is that trust among the group developed in an interesting fashion. At first, the group self-organized by try to work in groups of three. However, when plans were made to get together (for example to film an interview), often, one of the three people would cancel. Probably, that person considered two people to be enough to do the work. After noticing this pattern, the group decided to perform work in pairs. This made the commitment to working much stronger and eventually led to a more trusting work relationship. I have also observed this pattern in other situations. Pair programming, pair writing, pair designing, pair problem-solving… all of these behaviors seem to arise naturally in a self-organizing team. The term “generalizing specialists” has come to mean an individual who has a particular area of deep expertise but also has experience in a large number of other areas that may not be directly related to their core area. This type of person typically has strong talent in their specialty but also has a generally strong talent for learning new skills and ideas quickly. The origin of the term seems to be in the software industry referring to programmers who can do other software-development related tasks. In self-organizing teams, a generalizing specialist is a more valuable team member than a pure specialist. The pure specialist often has an attitude that they should not need to do work outside their specialty. This can be destructive to the team’s morale. On the other hand, the generalizing specialist is willing and able to learn new skills – to stretch as the needs of the team change. And since change is natural, this is an essential attitude for team members. Other terms that are similar to “generalizing specialist” include “craftsperson”, “renaissance man”, and “polymath“. The Tipping Point: How Little Things Can Make a Big Difference is a book that is about the way ideas, things and behaviors go from obscurity to ubiquity in a very short period. The basic model is that of an epidemic in which three types of factors contribute to quick dissemination: 1) the network of people involved including “connectors”, “mavens” or respected experts, and “salesmen”, 2) the ability of that which is spreading to stick around, the “stickiness factor”, and 3) the importance of small physical, mental and social factors, in creating a conducive environment. The Author, Malcolm Gladwell, includes some excerpts on his web site. This is a fascinating book, well written. Some of the anecdotes and “case studies” are mind-blowing. However, there is a bit of weakness in parts. In particular, the Afterword and the sections on The Power of Context are weakly put together – ideas do not flow well, or are too stream-of-consciousness. As well, the weight of evidence, while strong, is not totally convincing. That said, there are a couple of really fabulous stories. One story that stands out is the study related to the “Good Samaritan”. In brief, researchers set up an experiment to test what factors influenced a person’s behavior when presented with someone obviously in need of help. At a seminary, the researchers had students prepare and deliver a brief talk on some topic. One of the topics given randomly to some of the students was the story of the Good Samaritan. The students were to take a short amount of time to prepare their talk and then immediately go to another building to deliver it. Planted by the researchers along the path to the second building was an actor made up to appear in a great deal of physical distress. As each student was sent out the door, the researchers would breifly comment either that the student was running a little early, or that they were late and needed to hurry to deliver their talk. The results were astounding: of those students who were told that they were late 90% ignored the person in distress regardless of the topic of their presentation, while 63% those with a few minutes to spare stopped to help (pages 163-165). 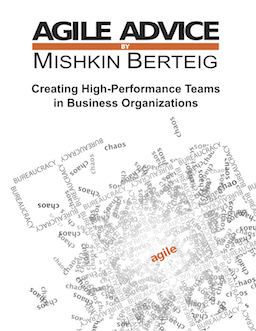 There are several ways in which this book is relevent to those of us practicing Agile Work and related methods. Most obviously, the ideas in The Tipping Point suggest some lines of action we can take to promote Agile: finding the connectors, mavens and salespeople, working to make Agile sticky, and making the environment hospitible to the spread of Agile. This applies both inside organizations and in the world at large. In my own opinion, the drafters of the Agile Software Manifesto, either by design or otherwise, came up with an incredibly sticky term: Agile. Finally, when coaching a team to adopt agile practices, it may be most important to focus on the Power of Context. Small suggestions, small physical changes, body language, all can have a large influence on the success or failure of an agile adoption. If a coach (Scrummaster/Team Lead/etc.) 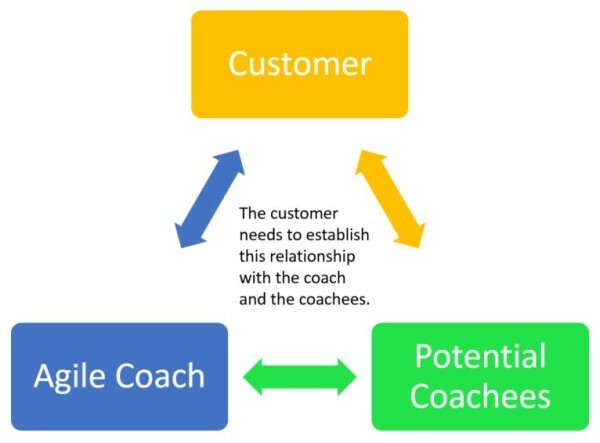 can find the connectors, mavens and salespeople in the sphere of influence of the team, and convince those people of the efficacy of Agile, then convincing the team will become that much easier.